This poster graphically expresses community ideas in the form of a conceptual plan. This plan is intended to show the “broad strokes” or big ideas that came out of community discussions. This plan is intended to generate more discussion about how to develop the downtown area of the city. 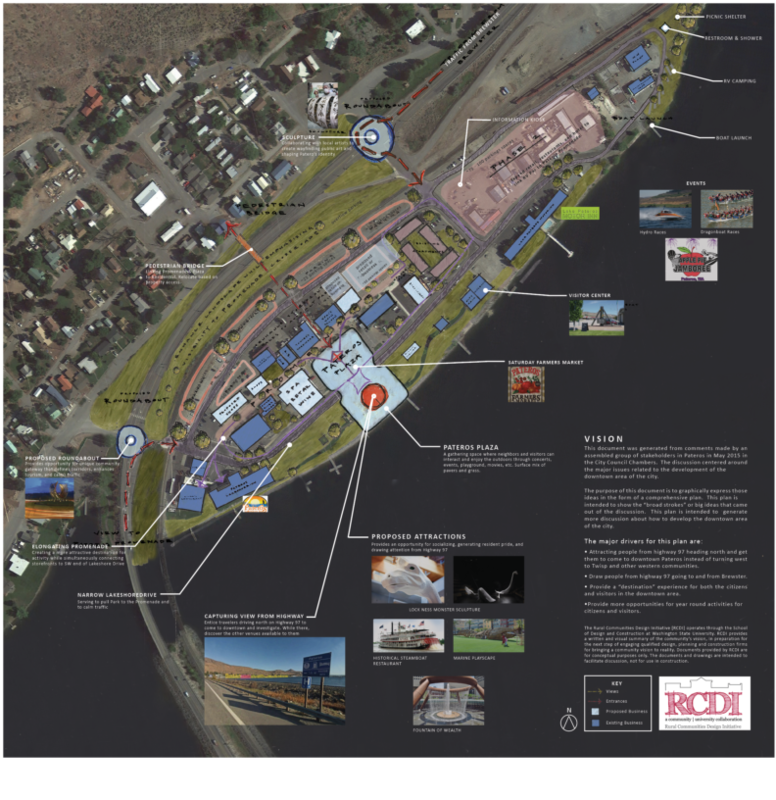 Attracting people from Highway 97 heading north and get them to come to downtown Pateros instead of turning west to Twisp and other western communities. Draw people from Highway 97 going to and from Brewster. Provide a “destination” experience for both the citizens and visitors in the downtown area.